Provided Google sticks with the same launch schedule it established since the first-generation Pixel smartphone, the company will take the wraps off an all-new Pixel smartphone in early October. 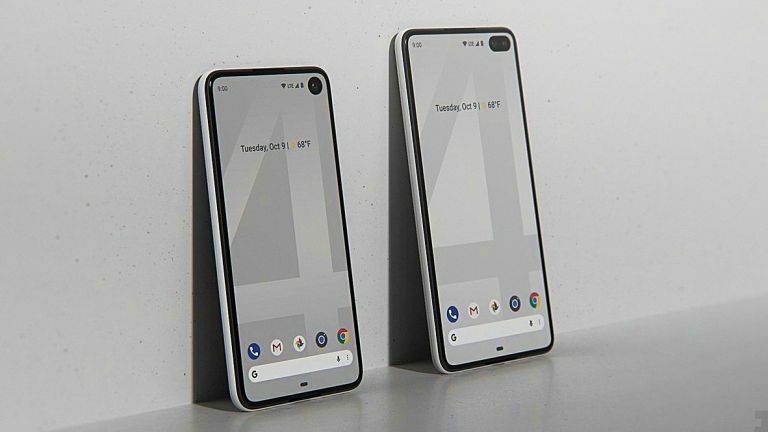 Despite the fact that we're still months away from a potential launch event, we may have got our first glimpse at the Pixel 4 range. Twitter account @PhoneDesigner has created detailed, high-resolution images of the Pixel 4 and Pixel 4 XL, based on the latest whispers that have surfaced online. The gorgeous renders tally with leaked CAD models that surfaced online earlier this month, which revealed a small cut-out in the display for the front-facing camera. Based on these renders, the most noticeable change coming to the Pixel 4 XL is the eradication of the huge notch introduced with the Pixel 3 XL last year. The curvaceous cut-out at the top of the display, which houses the dual-selfie cameras, sensors and speaker grill, was much deeper than those seen on rival handsets, leading Samsung to publicly mock the design on social media. But that looks to change with the next-generation Google Pixel. Instead, Google looks set to take a leaf from the Galaxy S10 Plus and rehouse the front-facing cameras into a small cut-out in the top right-hand corner of the display. Samsung brands this an Infinity-O display. The design has allowed the Seoul-based company to increase the screen real estate on its S10 range while simultaneously shrinking the physical size of the device compared to the Galaxy S9. Google looks likely to stick with the same dual-tone case design, which it has used on its flagship smartphones since the first Pixel-branded handset which launched on October 4, 2016. However, one thing that is missing from previous generations of Pixel is the rear-mounted fingerprint scanner. Elsewhere, it looks like the Pixel 4 XL will have a dual rear-mounted camera – a first for the Pixel range. Google has always insisted it only needs a single lens to produce the same bokeh-style blur that rivals use dual-camera set-ups to achieve. If the company decides to add a second camera to Pixel 4 XL, it must have something else planned. For example, Google doubled the number of selfie cameras to the Pixel 3 XL to offer ultra-wide angle images – ruling out the need for a selfie stick – so its possible the same feature could be headed to the rear-mounted camera. Samsung already offers a similar feature on the rear-mounted camera on its Galaxy S10 series. Of course, the Made By Google hardware event, which has been held in October for the last three years, is still a long way away. As such, it's worth taking these images with a sizeable dose of salt – not to mention skepticism.